The Marcy cast iron vinyl dipped 10kg kettlebell’s body is made from vinyl coated cast iron and has a protective rubber mat at the bottom. The handle is not coated and its size allows you to grip it comfortably with both hands. A 10kg (22lbs) kettlebell is best suited for every woman who wishes to start her kettlebell training, and for every strongperson who opts for more variety during their kettlebell exercise sessions. You can use kettlebells as single or in pairs of the same or different weights. 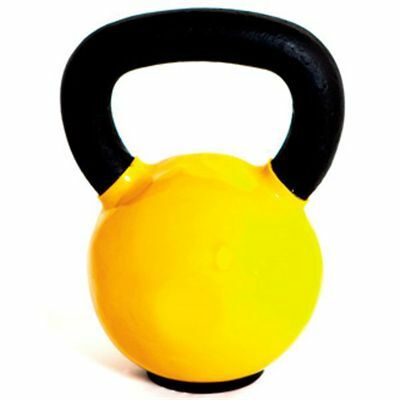 for submitting product review about Marcy Cast Iron Vinyl Dipped 10kg Kettlebell.